This book explains how collecting more data should increase student success, not to be "a more research-based, data-driven school." The book focuses on the human elements, such as hopes and fears, prior knowledge, and current needs. It strives to create active engagement with interaction with peers and data with the purpose of building a more collaborative culture and a shared sense of collective responsibility for all students' learning. "Edie Holcomb's materials are thorough and useful. I utilized the previous edition of this book when teaching districts to use data to identify how to improve the academic achievement of students with disabilities." "Yet again Edie Holcomb has engaged her exemplary skills in creating a significant new edition. 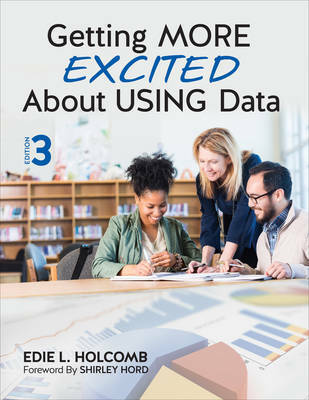 This third volume conveys for us rich new ideas, understandings, and insights in providing the culture, content, and processes that will ensure that our data use leads to increased teaching quality and better outcomes for our students."